MHA are an association of independent accountants. We helped develop a private, extranet which allowed all MHA members to access membership content in a secure, private, and controlled manner. Members are spread across the UK, so a simple, easy-to-use system was required to address this. We used a heavily customised version of the WordPress publishing platform and gave full training to the central admin team. 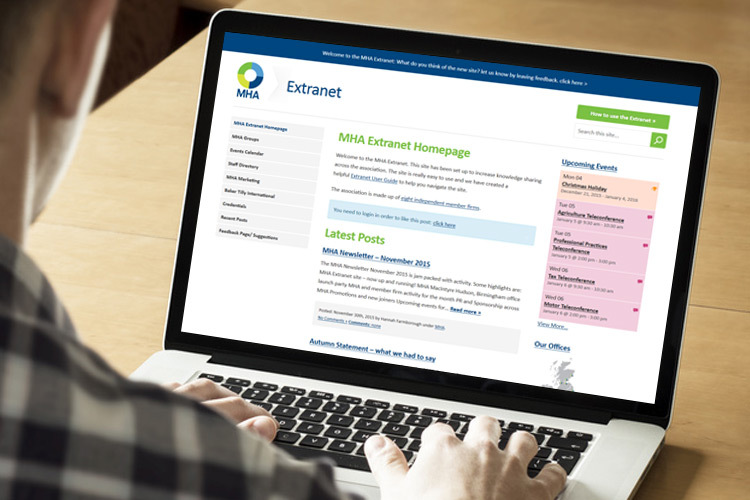 Careful planning was required in terms of ‘on boarding‘ extranet users; ensuring that we planned what existing users would be told about the new extranet and what messaging they would receive. After all, you only get one shot at making a first impression. If you would like to find out how an extranet or intranet can help your business, please get in touch today.